.....but unfortunately the builder of our new premises has gone under so we are still waiting for it to be completed. 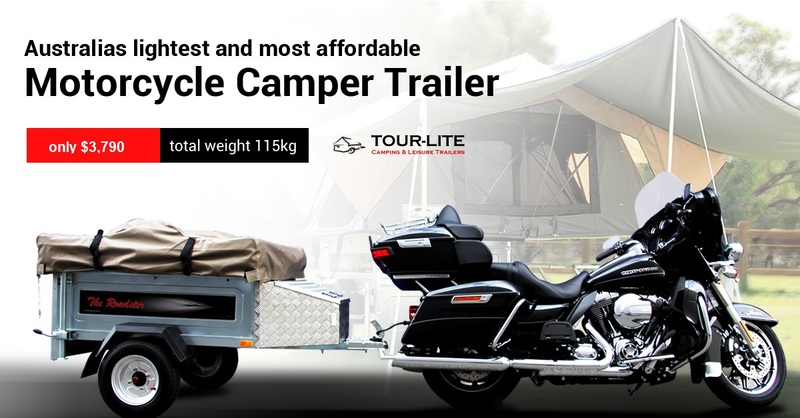 That said it is still business as usual so please give us a call on 1800 29 3733 to arrange a viewing of any of our unique and lightweight Camper, Luggage and Motorcycle Trailers. Find out more by completing the enquiry form below and we'll get right back to you. 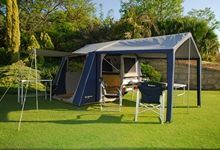 Tour-Lite Camper Trailers is home to the very unique and very popular ERDE / DAXARA range of camper trailers, sports / leisure trailers, motorbike trailers and general use / utility trailers that can be configured and optioned up to do do whatever you want from a trailer.Renowned for a build quality and functional design second to none, there is an ERDE guaranteed to cater to your trailer requirements. 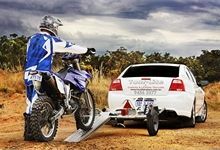 What sets the ERDE Trailers apart from all other Trailers on the market both in Perth and across Austrlalia is their versatility. As a general use trailer they deliver on being robust whilst being lightweight in design making them the idea trailer for the home handyman / wsomen with a small car. 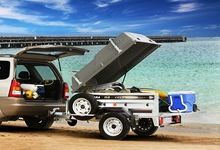 When the work is done the lockable lid option turns the ERDE into the perfect trailer to take away for the weekend, carrying all the gear required for a Family getaway, freeing up all the space in your car / 4WD. Enjoy checking out the rest of our website and find out why ERDE trailers by Tour-Lite are taking Austrlalia by storm. That's right, due to their unique design , our trailers they can be delivered to your door Australia wide, in flatpack form at a very resonable price. Trailers come with step by step written and diagramatic instructions and all items required to satisfy the relevant States registration laws. 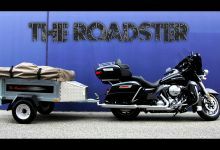 Coupled with the on-line assembly video getting your trailer ready for the road is a vert straight foward and fun exercise.